When 16, he first appeared seriously on stages, at the time still just as vocalist. About one year later, when his first band disbanded, he formed another band, where he, apart from singing, also played bass guitar. Since 1998 until now he played in many different bands, on many slovenian and foreign stages, recorded two albums and a few videos and singles. As a guest he collaborated with many different bands and composers. 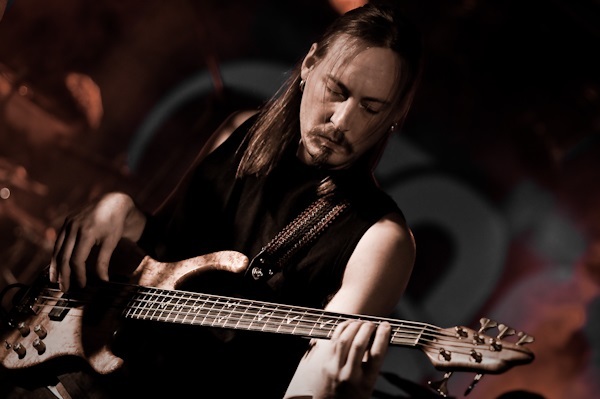 He studied bass at many well known slovenian mentors (Andrej Naterer, Robert Novak, Matej Hotko,…) and participated in many bass clinics (Stu Hamm, Marcus Miller,…). He studied at music school “Base”, where he finished 4 year course “Masterclass” and two year jazz theory course with mentor Matjaž Dajčar. Motto: The note, that is too hard to play is nonexistant. It’s only a matter of how much time and energy are you willing to put into it!